Small spaces are challenging, but I never see them as a problem. With a little research work for the right item that matches the measurements of a restrictive area, everything is possible and often one can fit the cutest item in any small space. 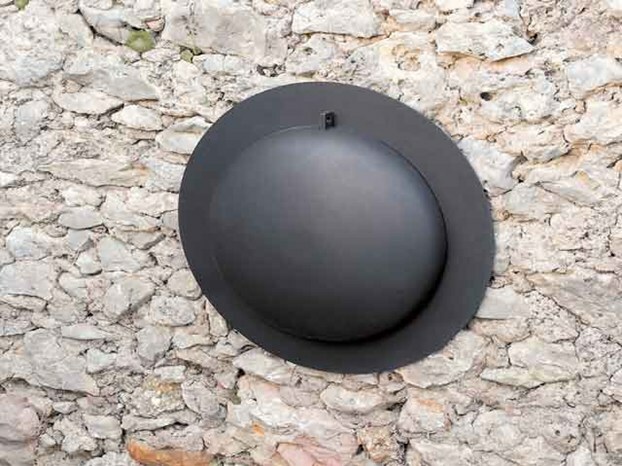 Focus, a French company, came up with “Sigmafocus” an elegant wall-mounted BBQ that looks more like a hat hanging on the wall. 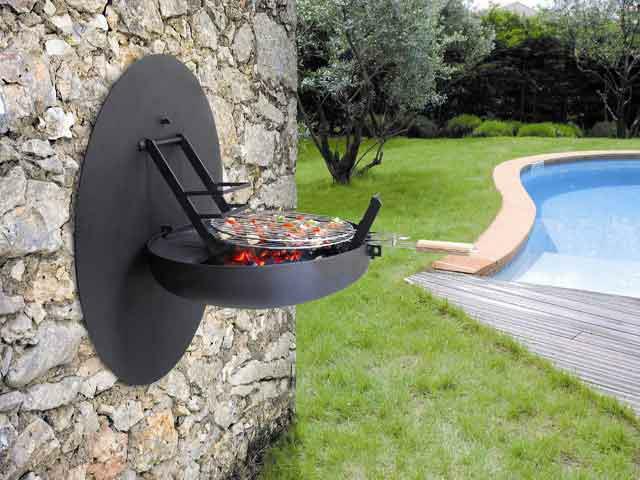 Made of steel, it opens from the wall and the generous fire bowl comes down at your height ready for BBQing any food. The plate on the wall protects the wall from the smoke. 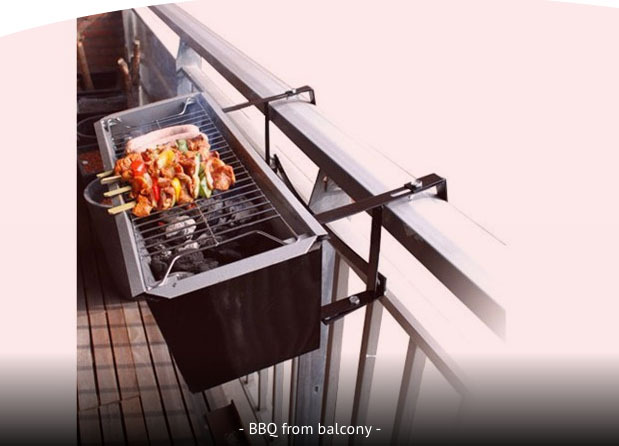 It is perfect for garden or balconies and even for apartment living. 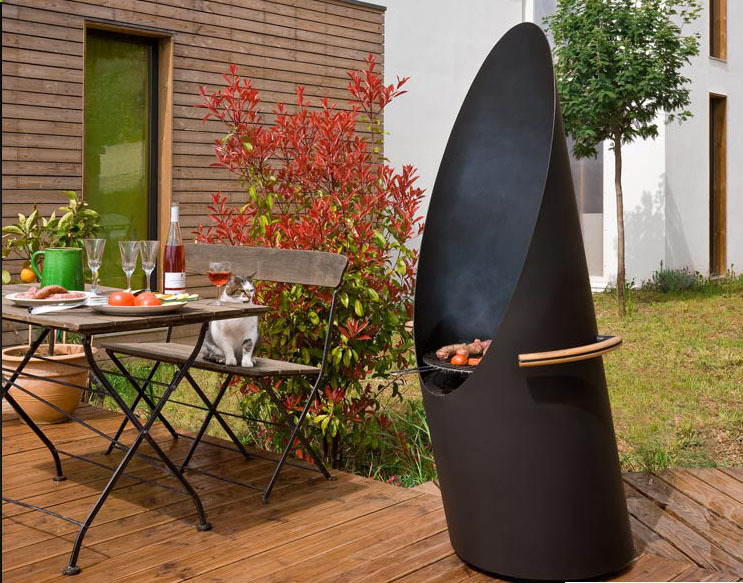 The same company produces “Diagofocus”, a beautifully designed cylinder and stylish space-saver BBQ. Italians do the Italian things. 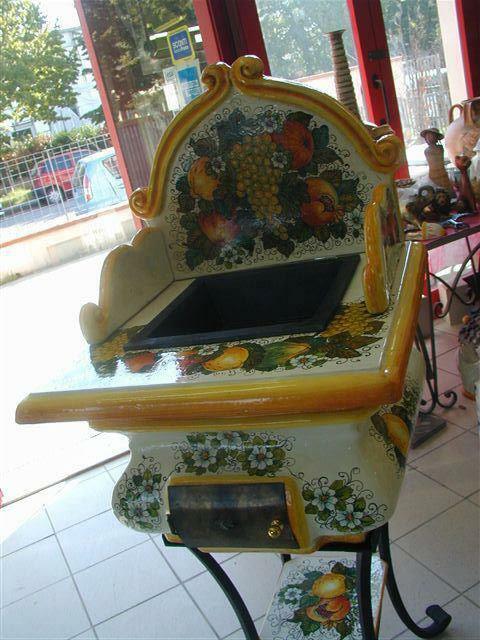 Hand-painted colorful ceramic BBQ are highly decorative and can be placed anywhere in the garden or patio. Even when not in use for grilling, the grill area can turn into a small counter by covering it with a flat plate, then a wine bottle and glasses can rest on it. There is poetry in something this beautiful !!! In Greek mythology, Prometheus stole fire from Zeus to give it to the mortals…. Slow food taste so good. Is your fire ready? Such a wonderful idea. I love how artistic a BBQ can be when seen through the artists eye. Bo you know what company makes the balcony BBQ? I old love to have one, living in an apartment myself. 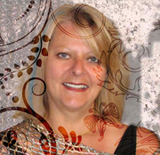 Your welcome, I enjoy your posts.